Real time identity resolution and record linkage from disparate data sources using Graph Databases. Resolve identities with industry leading match rates and accuracy to enable cross-device and cross-channel personalization. Richpanel stores and processes billions of customer data points to create complete, accurate ID graphs for each customer. The ID graph stores all known identifiers that correlate with an individual customer including usernames, email, phone, cookies, device IDs, IP addresses, loyalty card numbers and more. The matching technique relies on known identifiers for a customer like usernames, emails and phone. When Richpanel identifies two or more records with same identifiers, it links the records together in a unified customer profile. While this is the most accurate form of record linkage, the match rates are usually limited as compared to probabilistic matching. 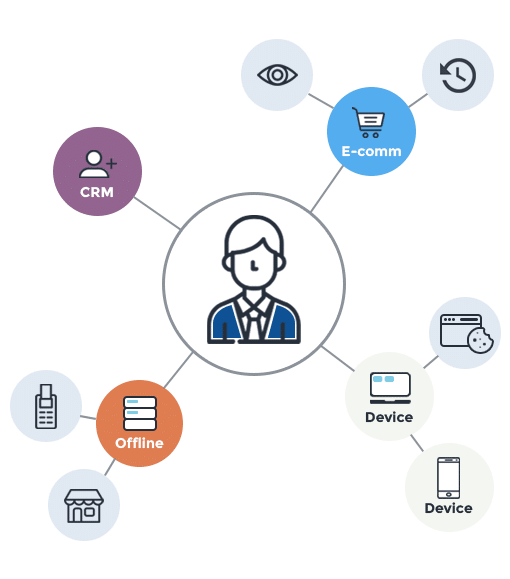 Richpanel uses AI and active learning on customer behaviors like browsing patterns and meta information like location, IP and device IDs to link unknown devices in a cluster. The accuracy ranges between 90-97% when probabilistic matching is enabled and results in a much higher match rate than deterministic matching. Unlike most other solutions in the market, the Richpanel ID graph is not limited to customer identifiers and cookies. It stores up-to-the-minute customer behaviors and properties in a Unified Customer Profile. Customer properties like usernames, address, emails, phones, social network, loyalty card numbers. All browsing activity including products viewed, categories viewed, products added to cart, cart abandonments, etc. Products purchased online or offline, order statuses, subscriptions and renewal orders. It is very common for households to use the same user account. Businesses may want to target individuals and devices instead of households for various reasons. Richpanel’s multi-level identity resolution enables just that. Businesses can view analytics and segment customers on various levels including devices, people and households. Richpanel groups devices that share the same IP patterns throughout the day and have similar browsing behaviors in cohorts to identify individuals in a household. Richpanel ID graph technology can traverse through billions of nodes within milliseconds allowing your marketing and ad tools to access the ID graphs in real time. 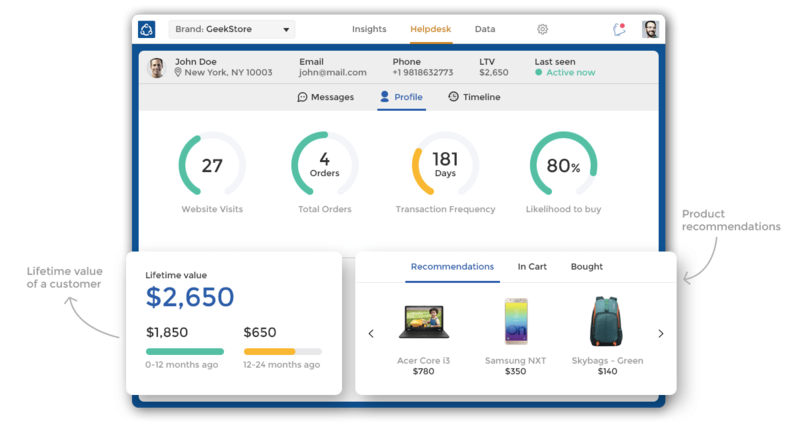 Personalize customer messaging and improve ad relevance using customer’s most up-to-date behaviors. Identity resolution - done right! Your data is lying in multiple systems in different schemas. Richpanel offers out-of-the-box connectors to ingest data from multiple data types. 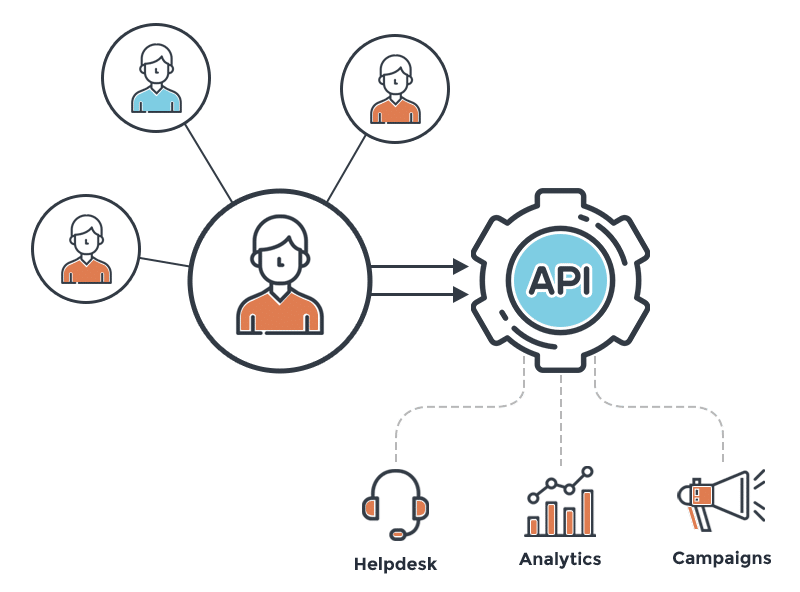 Richpanel can traverse through billions of nodes in it's graph DB with millisecond latencies so your tools can query APIs in realtime. Richpanel uses NLP and machine learning to standardize addresses in the platform. The AI is trained on over 1 Billion addresses in every country. Use cleaners like Regex to match input against a regular expression to parse and normalize data. Normalize data like phone number in a standard format (+CC number, where CC = country code). Unlearn and re-resolve entities when a user exercises their right to be forgotten under GDPR. Resolve entities at household, people and device levels. Fully customizable graph to optimize for accuracy vs high match rates. 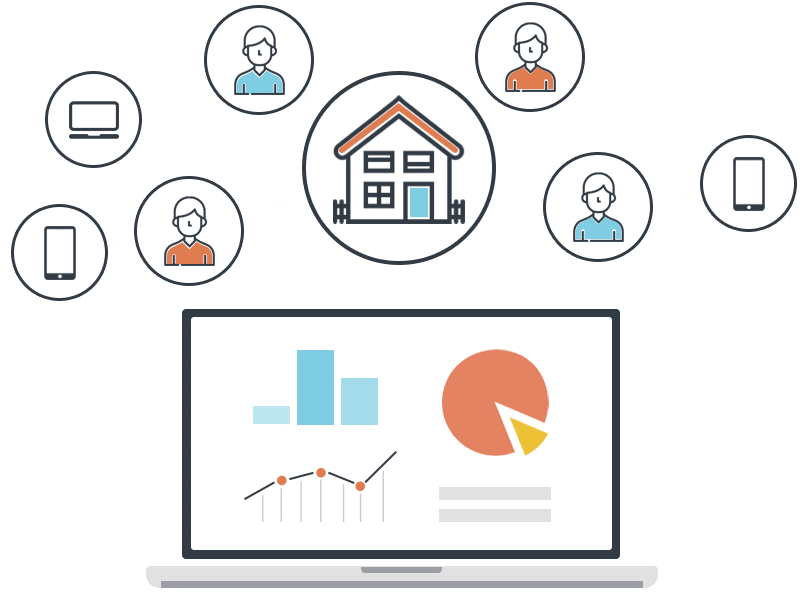 Visualize your entities using the Richpanel Customer and Household Analytics.